Moderate overnight rain Thursday night further dampened the already rain-softened courses in the rota for the AT&T Pebble Beach Pro-Am, and with more rain forecast for midday and later on Friday, at the start of Round Two players, caddies, and spectators alike were decked out in rain gear, or at least carrying it in preparation for the weather. A breeze out of the southwest picked up through the morning, with rain finally sweeping across the peninsula at around lunchtime, bringing out the umbrellas on the course. As the rain intensified, holes filled up with water, and the squeegees came out. Finally, at 2:11 p.m., Tour officials threw in the (wrung-out) towel and play was called. Today’s events recall the 2017 tournament, when 1st-round tee times were moved up to outrace a heavy storm, but play was still suspended at 1:33 p.m. Play resumed Friday at 8:30 a.m., with first-round play completed at 10:43, overlapping the beginning of second-round plat at 10:30. Fog halted second-round play Friday afternoon, and clear weather on Saturday allowed the tournament to get back on schedule. By the time that second-round play was suspended, the top of the leaderboard had morphed into a roster of recognizable names, with four-time AT&T Pro-Am winner Phil Mickelson; 2009 U.S. Open winner Lucas Glover; one of yesterday’s co-leaders, Scott Langley; and Britain’s Paul Casey in at 10-under; while 2017 AT&T Pro-Am champion Jordan Spieth joined them there with two holes to play. Australia’s Jason Day is solo sixth with three holes to play at Spyglass Hill, and Thursday co-leader Brian Gay dropped to T-8 after shooting even par, also at Spyglass Hill – essentially standing still while the new co-leaders moved past him up the leaderboard. Stockton’s Ricky Barnes stood at the top of NorCal players as play was called, having moved 23 spots up the leaderboard to T-45; he is currently two-under through 17 holes at Spyglass Hill and 3-under for the tournament. Sacramento’s Cameron Champ carded two eagles on the front nine at Pebble Beach Golf Links on the way to a 3-under 69. He stumbled through the early holes of the back nine with bogeys at 11, 12 and 14, but recovered with birdies at 15 and 18, and is currently T-62, a move of 49 spots up the leaderboard from yesterday. Max Homa, a 2013 Cal grad, and Sacramento native Nick Watney both made positive moves up the leaderboard playing at Monterey Peninsula Country Club – Homa by 22 spots, to T-89 (with four to play), and Watney by five, to T-106 (with two to play), but both will need more upward mobility in order to play the final round on Sunday. In the Pro-Am competition, co-leaders Lucas Glover, Scott Langley, and Paul Casey and their amateur partners are in the group of four teams currently tied for the lead, along with two-time U.S. Open and two-time British Open champion Ernie Els. San Francisco’s 2015 Miss America Kira Kazantsev and pro partner Ryan Armour, currently T-18 in the Pro-Am event, lead Pro-Am teams featuring NorCal amateurs, and are currently well within the Top 25 advancing to the final round. 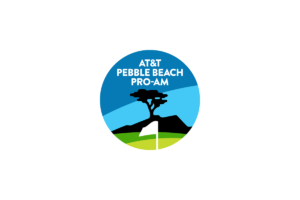 Huey Lewis and pro partner Chris Stroud sit at T-40, celebrity chef Thomas Keller and partner Colt Knost are T-117, and NCGA President Gail Rogers and pro partner Jason Schmuhl fell to T-137.